I enjoyed this book quite a bit. I found the story really engaging, the relationship between the two mains was well developed with just the right amount of angst and the characters felt realistic. 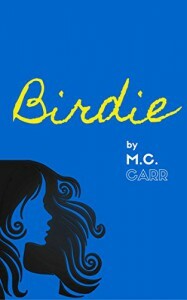 The book is called 'Birdie' and for good reason. This is really her story although Wes has a good amount of real-estate and is sometimes more sympathetic than Birdie. Birdie is biracial. She believes she was adopted into her all white family. Until a bombshell is dropped and suddenly she finds herself plucked out of her familiar school in the last four months of her senior year and dumped onto her unsuspecting uncle Tim, a sheriff who lives in the town where he and her mother grew up. We first meet Wes as he overhears an intense conversation between Birdie and her mother. His response immediately endears him to me. He is quick witted and his subsequent actions signal to us that he is a pretty decent guy. The book follows along as Birdie tries to adjust to her new situation, her new school and learning about her identity and her past. But we also follow Birdie and Wes into adulthood in a series of vignettes that allow us to watch their separation and then return to each other. There are two central things about this book. The first is Birdie's coming to terms with her family, her mother and her feelings of abandonment. She has built a tough suit of armor and makes a lot of promises to herself in order to protect herself. The second is Birdie and Wes' evolving relationship. This is truly a strength of the book. I like the way the author allowed this to evolve. Wes is drawn to Birdie and he is proactive about it only in the way that a person of confidence and conviction can be. Birdie is more wary. She's been a bit more battered by life than Wes and it takes a lot to get her to open up. A LOT. Until she does, we get to see them become friends, think a like, learn how to read each other's tells. It is such a nice relationship. But this is a romance novel and things can't be smooth especially not when the two protagonists start out their romance as teenagers. We live with Wes and Birdie over about seven years where they break up, move away, argue, fight, but somehow manage to still find their way back to each other. 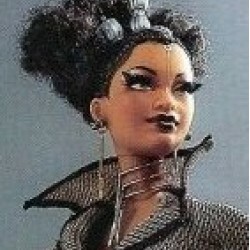 I must say I did want to smack Birdie on two very distinct occasions, but I got Birdie so I couldn't be too mad at her. In the end I come away with the simple fact that these two were meant for each other regardless of obstacles even the ones they make for themselves. Outside of Wes and Birdie's relationship I did like a lot of other little details that made the book feel textured. Birdie and Tim's relationship, the complicated and fraught relationship with her mother, Wes' family dynamic, the significance of a cookie recipe, a lyric journal, Birdie's first book club...so many things. One thing that stops me from giving it a full five stars is that I would have liked the final act to play out longer. I needed them to let their romance flourish a bit more once they had come together for the final time. It felt too abrupt. I wanted to spend more time with the older, wiser, really have their heads on right Birdie and Wes. Even an epilogue would have been welcome. Otherwise it was a really nice book.